It’s Christmas Day. Everyone has had their fair share of turkey. Grandad’s asleep on the sofa, your Nan is listening to the latest Michael Buble album on the CD player on full volume and your youngest sibling has locked themselves in their room playing on their new Playstation 4. The unenviable task of washing the dishes from the epic meal is still to be done and guess what? You’ve been volunteered to do them, when all you really want to do is watch Doctor Who and slowly make your way through the six tins of Quality Street chocolates your Dad acquired on the lead up to Christmas thanks to the 2 for the price of 3 offer at Tesco. What if I was to offer you a dishwasher to help you out? Unless your a Christmas sadist you’d probably jump at the chance at automating dish cleaning. Grunt is a bit like a dishwasher, except more efficient with water usage and able to do more than one thing. If it were a kitchen appliance, it could probably cook, clean, wash all in one. Sadly (or happily depending on your fondness of the oven) it is not a kitchen appliance. Grunt is a task runner that takes the regular chores of web development and automates them saving you time and letting you concentrate on the interesting parts of your project. What tasks Grunt will run is completely up to you. There are over a thousand tasks available – from Sass compliation and minification to code linting and unit testing. Sadly, it doesn’t do dishes. In this article we’ll take a look at how to get started with Grunt before unwrapping some of the best tasks and techniques for getting the most out of it. If you already use Grunt feel free to advance straight past the ‘getting started’ part and skip to the good bit. Node.js can be installed quickly and easily on Windows, Mac or Linux using the install wizard available for download on the Node.js site. Installing Node.js also installs Node Package Manager (known as NPM) which we will use to download both Grunt and any new tasks for Grunt. The -g flag ensures we install Grunt CLI globally – it’s the only part of Grunt that will be installed globally. We won’t install grunt or any of its tasks globally so that we can run the latest version of each plugin on newer projects whilst maintaining backward compatibility with our older projects. We can now type grunt from any directory and if a Grunt file exists, it will run. You can run it now if you like, but it’ll tell you it can’t find a valid Grunt file. Now we’ve installed Grunt let’s create a new project. Once we have a folder, we’ll need to create a package.json and Gruntfile.js in our project folder. The package file will store some simple details about our project together with a list of the Grunt/Node modules required by Grunt to run our tasks. The Gruntfile will contain the instructions for the tasks we’ve included. Using Terminal/Command Prompt navigate to your project’s directory (or create a new, empty directory). The init command will ask a set of questions, some of which you won’t want to answer or won’t know the answers to. You can hit enter on all the questions to skip and use the default. If you want to change any of your answers later on, you can do so by directly editing package.json. Grunt will now be added as a dependency to our project, and a folder called node_modules will be added to our project folder for all our local Grunt tasks. The property devDependencies defines a list of the tasks we have installed together with their approximate version numbers. By listing the tasks in our package.json file, if another developer comes on board to our project, they can simply type npm install to install all of the project’s dependencies in one go. This file will form the basis for telling Grunt what tasks we want to run. If you type grunt in to Terminal/Command Prompt when in this directory now, Grunt will run our default list of tasks. As our default list of tasks is currently empty, although running will be successful it won’t actually do anything. Let’s look at installing a task. Find the plugin you want to use. There are a number of common tasks for Grunt which are marked as grunt-contrib. These tasks include everyday useful functionality such as copying and cleaning files or a directory; and JSHint. Note the comma after the pkg line. Our src property contains an array of files to match. We could either specify the exact file name, or use wildcards to specify a folder or part of a file name. Using the wildcard * will include any matching filename. Using **/* will include any files in/or outside of folders within the /src/js folder. #### Step 5: Here we go! JSHint will now run against any files that match the expression in src. Grunt treats a task called default as the default whenever a task is not specified, so we can type grunt to run JSHint and any other tasks we add to the default task array. Adding additional tasks to Grunt is as simple as following the same five step process. 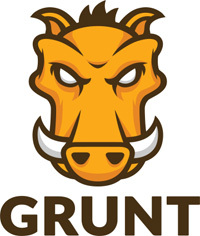 You can find more details of how to get started with Grunt on the official website. If you’re a seasoned Grunt user, or your just looking for ways to optimise, optimise, optimise; here are some configuration tips and must-have tasks for making your life even easier with Grunt. With many Grunt tasks making changes to our source files, it’s important to keep a separation between what we’ve created and what has been changed by Grunt tasks; otherwise our source keeps changing and we won’t know what’s been done by man or machine. The easiest way to do this is to have separate source and distribution folders. Developers on your project will only ever edit files within the source folder, while Grunt will only create new files within the distribution folder. I prefer to call my source and distribution folders src and dest; although any other names are equally valid. The important thing is to keep a separation of source and distribution files. Some projects include the source files in the root and output to a distribution folder. In my personal experience, I’ve found this to be a more difficult configuration as the two folders are not at the same level. On build, we can copy our files in to dest after Grunt has made all it’s changes using a task such as grunt-contrib-copy. If running a grunt task doesn’t go quite how you expected, try re-running it with the -v flag. V stands for verbose and it will often provide you with a wealth of information about how each task works, the files it finds and what it produces. If like me you are bored with having to continually type -moz-this and -webkit-that, then Grunt Autoprefixer may be a dream come true for you. This dreamy task will look through your CSS and see where you need to include a vendor prefix for browser compatibility, based on a browser matrix you specify. It will then add all the prefixes needed, saving you time and effort having to remember and write all the prefixes yourself. Use last n version to support the last n versions of each browser (where n is a number). Use > n% to support browsers with more than n% market share. Autoprefixer is a valuable task for every web developer and as it runs within Grunt its preferrable over running a client-side library like prefix-free as it doesn’t require any additional effort at runtime. You can find out more details in the grunt-autoprefixer readme. If you have dependencies in your package.json that are not devDependencies you’ll need to add a second instruction with filter rather than filterDev. For most situations, this configuration will be enough, but if you load any grunt tasks that do not follow the grunt- naming convention, you’ll need to modify your configuration using the instructions on the load-grunt-tasks page. For both techniques, all other grunt.loadNpmTasks lines can be removed. Rather than re-running Grunt every time we make a change, we can use Grunt Watch to watch for changes to our files. With watch, we can specify folders we wish to monitor and when changes are made, watch will trigger the tasks we specify. We can also attach Live Reload to the task to refresh our browser window whenever changes are applied. We want to keep this process as quick as possible, so break your watch task settings in to categories of files so we don’t need to run all our tasks again. You can find out more details in the grunt-contrib-watch readme. If it feels like you’re always setting up IIS or Apache localhost configurations, then Grunt Connect is likely to be exactly what you’ve been dreaming of. Using this task, Grunt will run a localhost server on a port you specify. Simply navigate in your browser to the URL you’ve created and Bob’s your uncle (and he’s brought round Christmas cake). You can find out more details in the grunt-contrib-connect readme. You can find out more details in the grunt-newer readme. Grunt UnCSS is a (still in developement) task for inspecting HTML and removing unused CSS selectors. With many projects using front-end frameworks or boilerplates such Bootstrap it is becoming common for sites to have many unused styles; even if you are not using a boilerplate unused styles can creep in where there are multiple developers working on a project. By specifying the HTML files we wish to inspect for styles, UnCSS will take both the CSS from these files and the selectors and work out what is and isn’t being used, producing a new CSS file with just the selectors being used. You can find out more details in the grunt-uncss readme. Grunt makes it easy to provide all your developers with the same tools, but if you check in every file to a project with multiple developer contributions you may find yourself dealing with a few conflicts whenever you git pull. You can avoid some heartache by ensuring you add node_modules to your .gitignore file. Any onboarding developers simply need to type npm install to get involved. Similarly, adding your distribution folder (e.g. dest) to .gitignore will ensure compiled code does not conflict. The same applies for CSS generated by LESS or Sass – avoid the pain of commit conflicts by not checking the css folder in. If you have multiple developers working on your project, you can use a tool such as Grunt Plato to give an oversight on code quality. Plato uses methods such as the number of parameters in a function; the number of dependencies and the number of distinct paths through a block of code to determine quality. Running the grunt task creates a report which gives an in-depth analysis of your codebase. Andi Smith is a Presentation Technical Architect at ideas agency AKQA. 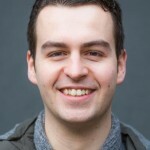 He is responsible for Grunt task Grunt Responsive Images and Secrets of the Browser Developer Tools. This Christmas he had asked Santa for a dishwasher, although he didn't get one. It says as unrecognized command when I type in Grunt. However, the command line is accepting Gruntfile as input. Is that how it is supposed to be? Is it possible to keep ‘node_modules’ folder globally(like c:\etc. )and use in different project. I want to avoid the instance of ‘node_modules’ folder in every project directory for same type of task(grunt-contrib-cssmin and grunt-zip).